We are Open in Mandeville! We are NOW Open in Mandeville just behind K-Mart between the gymnastics facility and the car wash.Â Park in the back and come on in. We are currently taking facility memberships, private individual and group lessons. You can Request a Membership on this site to secure a membership today. 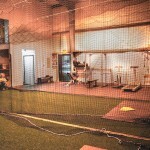 We will have photos on the site soon along with a video showing the facility. Please read about us to learn more about who we are. We look forward to seeing you at the facility. I was interested in signing up my son Mitchell for possibly a few private lessons on pitching. He is 9 years old and he likes to pitch but has never had any training. He has been asked to pitch for the team because one of the pitchers will not be available to pitch for a few games. Please let me know when you get a chance. Thanks.